(MENAFN - Caribbean News Now) BRIDGETOWN, Barbados — The Barbados Rugby Football Union has officially announced the names of the players who will represent Barbados at the 2018 Mitsubishi Electric Rugby Barbados World 7s (MERBW7s) Tournament that is set to take place at Kensington Oval on December 8 and 9. 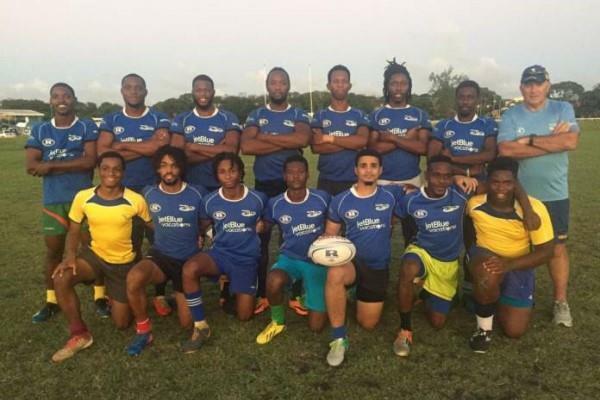 Barbados JetBlues male team captain, Sean Ward, said his team is looking forward to taking on the high calibre of international rugby teams making their way to the island this week, just for the tournament. 'The boys can't wait to play some of the best-of-the-best in the rugby fraternity and we have our eyes focused directly on the prize. And, to win on home soil and at such an iconic Barbadian sporting stadium like Kensington Oval will be the icing on the cake, so watch this space,' he said. Competing against some of the world's best men's and women's club rugby teams, both male and female national teams will be going head-to-head with teams from Scotland, England, Wales, Canada and the USA, as well as Guadeloupe, St Lucia, and Trinidad, in the longest running Club Rugby 7s Tournament in the Caribbean and in what organisers have touted as 'one of the richest Women's Club 7s tournaments' on the rugby competition calendar. With US$30 000 prize money now on offer, the tournament is looking to rival both the internationally-renowned Hong Kong Sevens and Dubai Sevens events, especially in the Women's Division. This has meant that this year current England Rugby 7s player and Olympian, Heather Fisher, is now headlining the growing list of top women's rugby players travelling to Barbados, just to compete. The official MERBW7s tournament ambassador will also be making a visit to The Lodge School on Thursday, December 6, with her UK team Rugby Ecosse Feminin to talk to students about the positive impact and lessons learned from her sporting career which continue to shape her life today. Continuing its focus on using sport as a tool for social development, MERBW7s will then partner with the Rotary Club of Barbados (South) and The Royal Shop of Barbados to host its second annual gala charity event the following evening, Friday, December 7, with proceeds going to the Stephen Alleyne Sport for Life Programme, which assists the nation's 'at-risk' youth through sport.